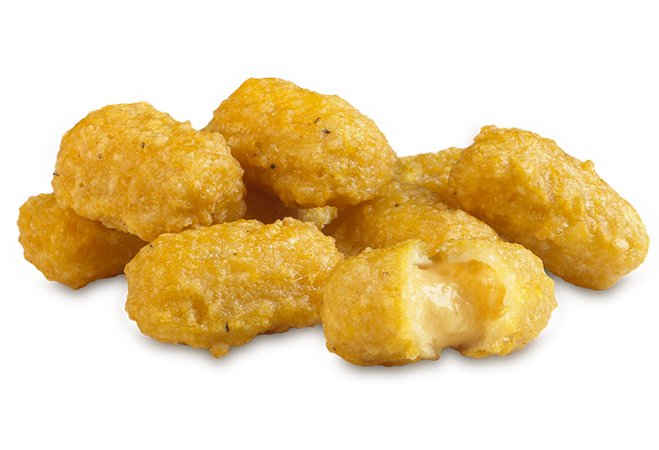 Tasty nuggets of yellow cheese coated in a rich, buttery golden batter. 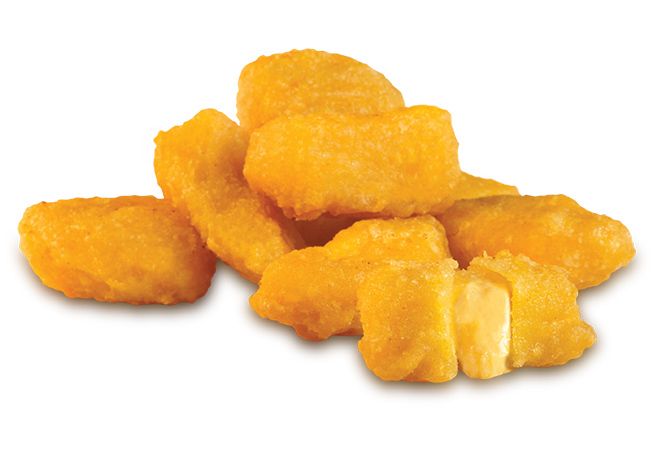 All natural yellow cheddar cheese curds coated in our one-of-a-kind golden batter. 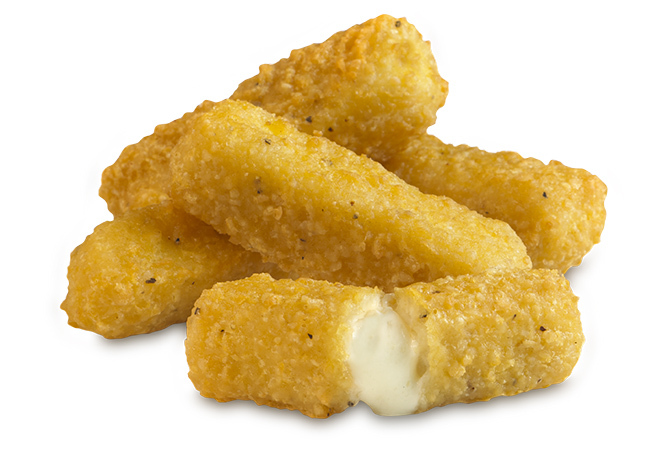 Wisconsin Mozzarella cheese planks drenched in a creamy seasoned batter. 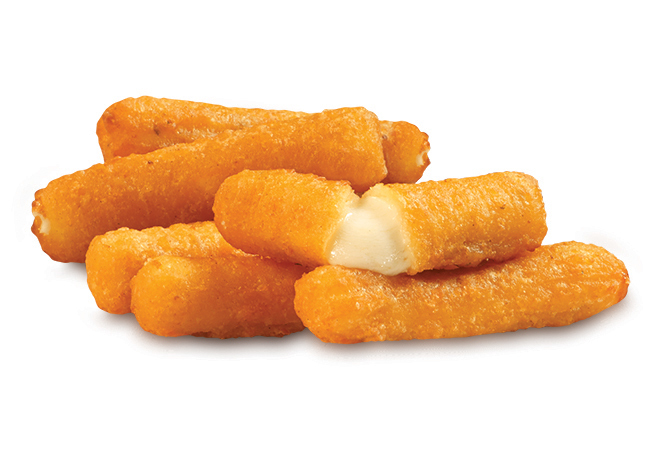 A lightly seasoned batter surrounds these Wisconsin mozzarella sticks. 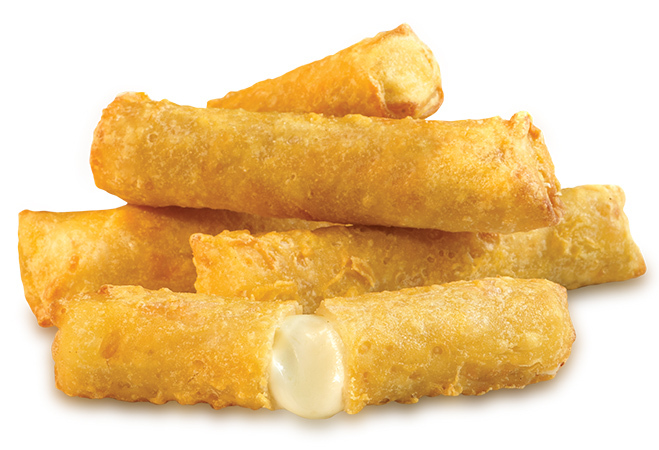 Mozzarella sticks wrapped in a delicate wonton and lightly battered. 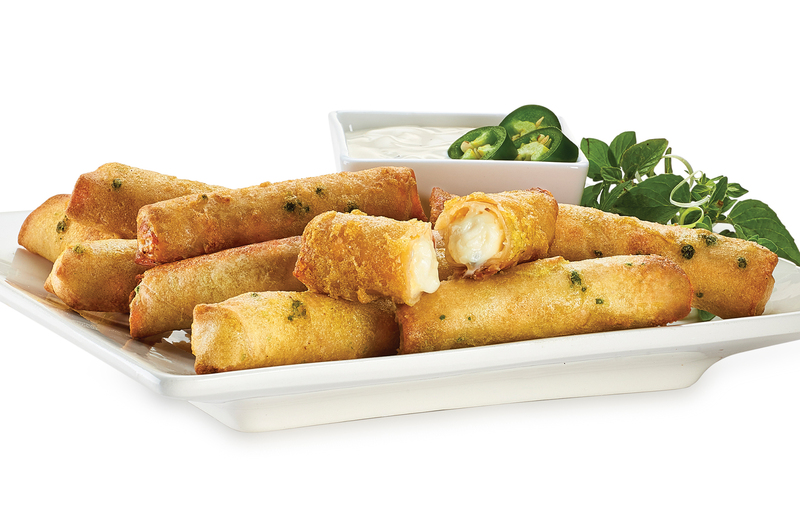 Hand wrapped jalapeño Monterey Jack mozzarella rolls! 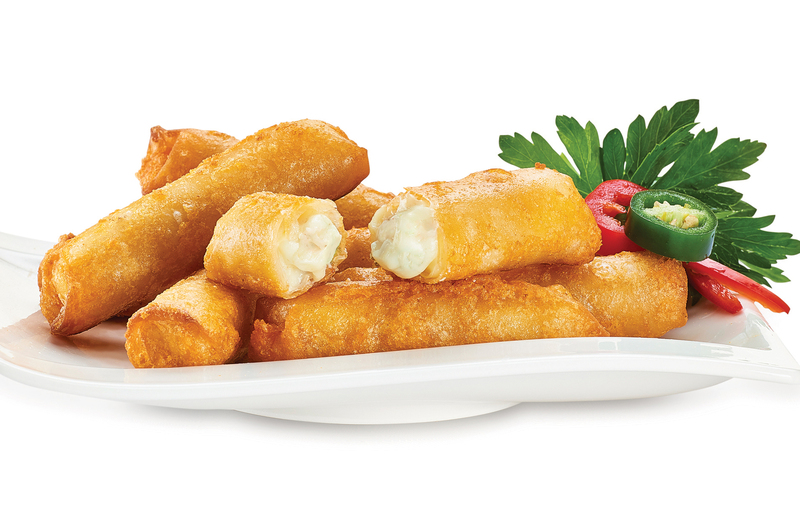 Pepper Jack cheese sticks hand rolled in a light wonton skin and coated with a tasty beer batter. 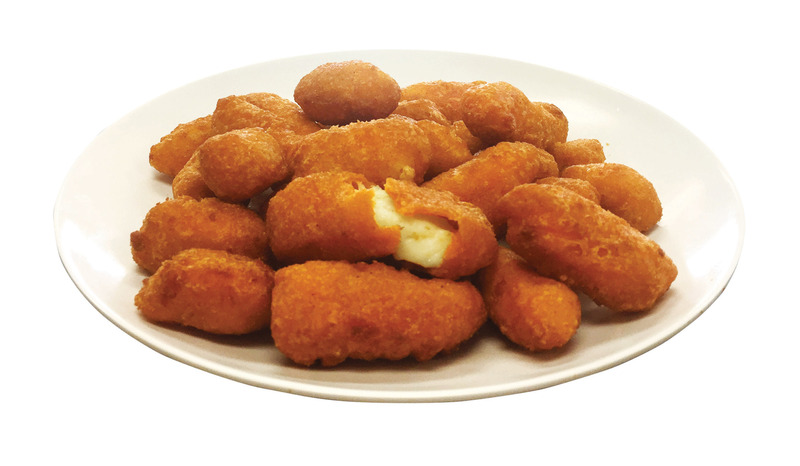 White cheddar cheese curds buttermilk battered with a touch of garlic. 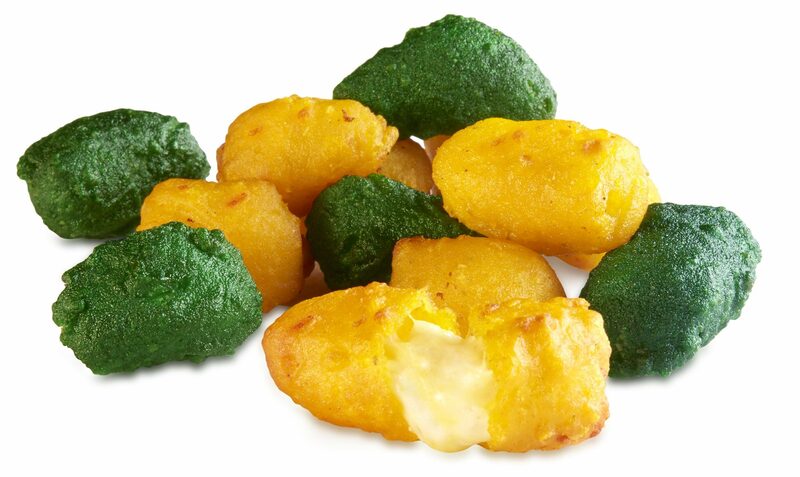 Squeaky fresh cheese curds dipped lightly green and gold batter! 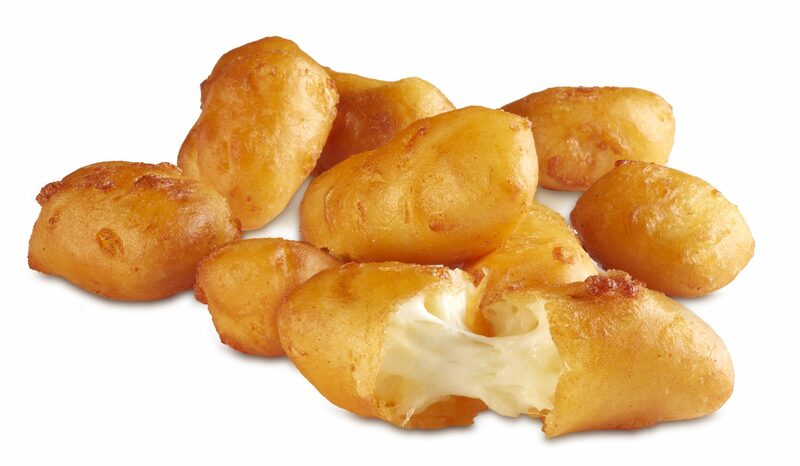 Wisconsin white cheddar cheese curds encased in a spicy sriracha batter.